Dr. June Yu Paltzer is a board certified clinical neuropsychologist, a clinical psychologist, and a forensic expert witness with offices in San Francisco and Sacramento, California. She specializes in the assessment and diagnosis of neurological and psychological issues in both adults and children. Dr. Paltzer examines patients and untangles complex disputed cases where brain functional integrity, health/ medical complications and/or psychological trauma are at issue. She consults with health care professionals and attorneys on all aspects of disability, personal injury, patient veracity and capacity (e.g., financial capacity). D. Paltzer has held clinical appointments in the Departments of Pediatrics and Neurology of the UC Davis School of Medicine, UCD Alzheimer's Disease and Research Center, and VA Northern California Health Care System. 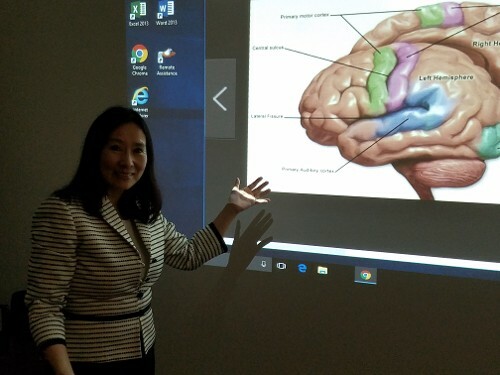 She is an Assistant Clinical Professor in Neurology of UC Davis School of Medicine and a co-author of several publications regarding memory functions, specific neurological diseases and cultural neuropsychology. Additionally Dr. Paltzer is a consultant on a neuro-cognition research study, involving multi-site university medical schools. She is a Mandarin speaking neuropsychologist who reviews records in Chinese. She reads and writes traditional and simplified Chinese.